Indie Retro News: QUOD INIT EXIT II - The sequel to the colourful C64 game has been teased. QUOD INIT EXIT II - The sequel to the colourful C64 game has been teased. Last month we gave a special mention to Retreams Arcade homebrew of ' QUOD INIT EXIT ', that had a cute little pig, lots of fast moving fruit and was so colourful you would've been silly not to even load up through a C64 or the emulator WinVICE. So to hear from the developer of the sequel which has only just been announced, we were just a little bit excited. 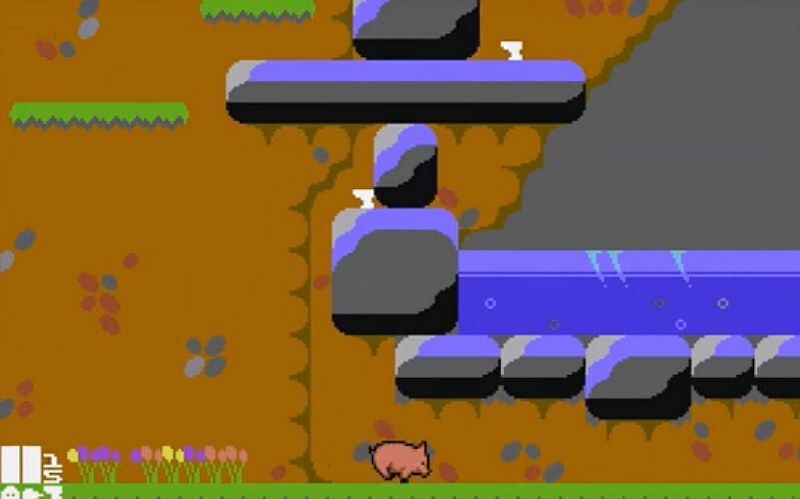 Named as ' QUOD INIT EXIT II ', you once again play as the piggy, but this time looks to be more of a side scrolling platformer with finished development into next year. You can follow the developments (HERE) but don't expect the game to come out any time soon!